Portraits are always a challenging endeavor. And, regardless of how much experience an artist might have, they continue to teach us new things. Although there are general anatomical rules to follow, it's always interesting to observe, and render, the unique differences that distinguish us from each other. Whether it's a slightly larger ear lobe or a thinner upper lip, it's these variations that make portraiture, and character design, so fun! Indeed, it's easy to get lost, as an illustrator, in one's own style, neglecting the critical role naturalistic work, such as portraits and still lifes, play in our development as artists. To continue drawing and painting the world around us only helps to further our growth and creativity as artists. In crafting a style, these studies are an invaluable tool in learning the rules of nature and anatomy. That knowledge set makes it far easier to successfully stylize one's artwork. As the saying goes, "To break the rules you must first learn them." In the coming months, I'll be working on several more portraits while continuing my illustration projects. 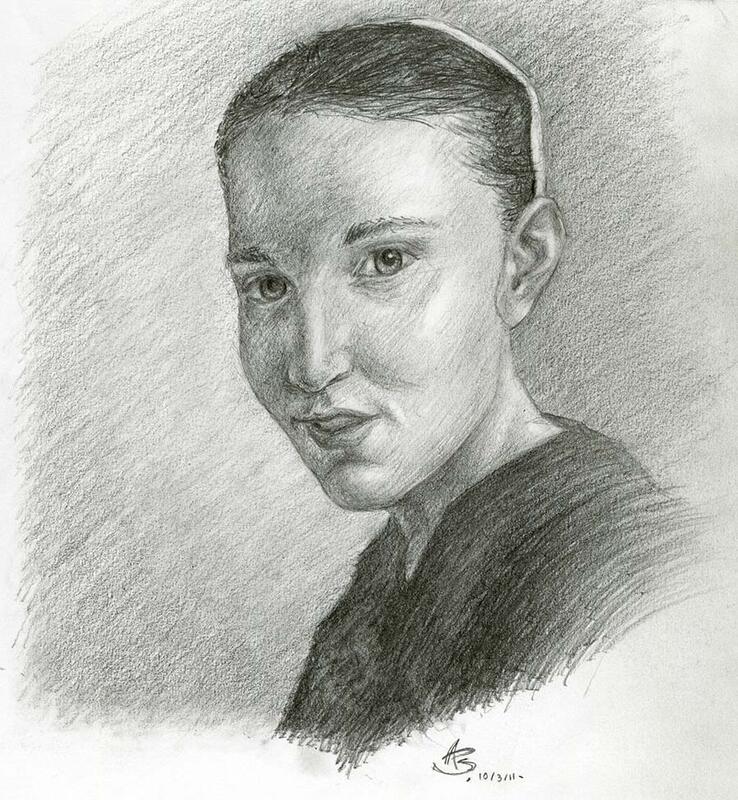 My sister, Marie, happily posed for this sketch.